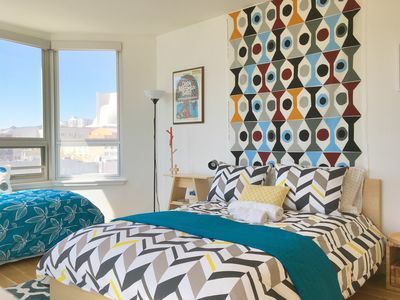 Located in the lovely village of Glen Park, San Francisco, this charming, renovated home offers modern comfort and convenience in a 1920's building. 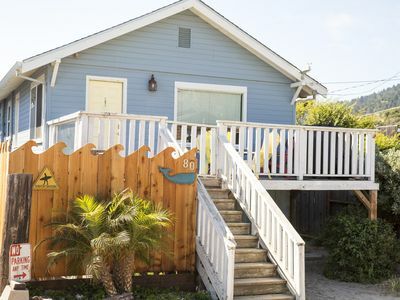 The house is 1100 square feet, with 2 bedrooms and 1 bath, dining room, chef’s kitchen, and living room. There are hardwood floors throughout the home. 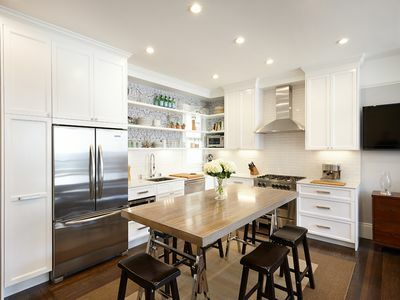 The chef’s kitchen features high end Electrolux 5 burner gas range, hood and dishwasher, and a French door refrigerator, a Kuerig 2.0 coffee maker along with many other high end chefs’ appliances and a flat screen TV makes this a kitchen a joy to cook in. 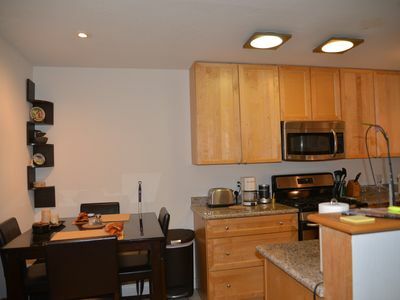 Full complement of chef’s knives, cooking tools, appliances, and housewares included. Leather furniture, gas fireplace, 36" HD TV, completes the living room. Dining room seats 4-6 at the glass topped table. The newly tiled & painted bathroom has a shower/tub combination. The master bedroom features a comfortable 4 poster, queen bed with European duvet down comforter & pillows (down alternative available – all linens provided.) 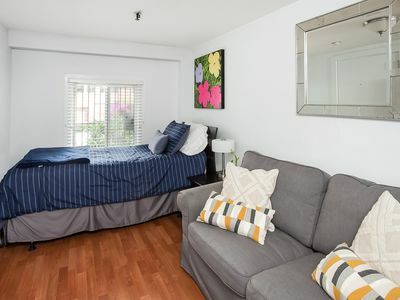 The guest bedroom has a sofa bed & closet. Property comes with full access to multi-level landscaped garden with patio furniture, Weber grill & fire pit. 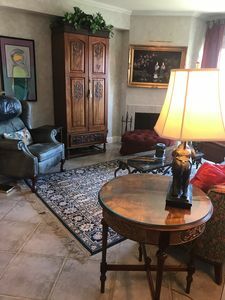 This location is ideal for business travelers, a couple, small family or travel companions seeking a pleasant stay in a fully furnished private home. 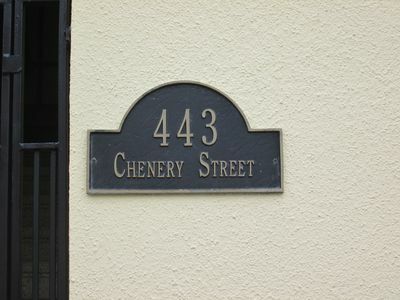 The 400 block of Chenery Street is an easy 7-10 minute walk to the BART station or the Glen Park Village for shopping, restaurants, bakery and coffee. 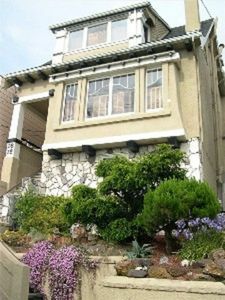 This location offers easy and quick access to Hwy 280 & the South Bay, Hwy 101 to downtown and the East Bay. Glen Park Bart has direct service to SFO and the Oakland Airport, 10 mins. 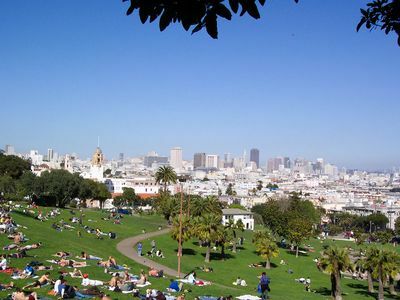 to downtown San Francisco, easy access to the Peninsula and East Bay. 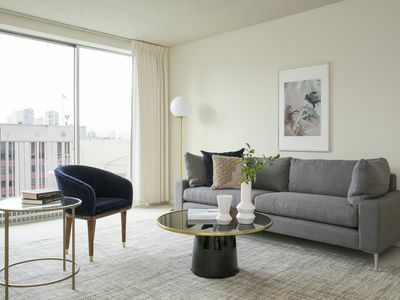 There is easy street parking and convenient freeway access to both 280 and 101, which makes renting a car a great option as well. 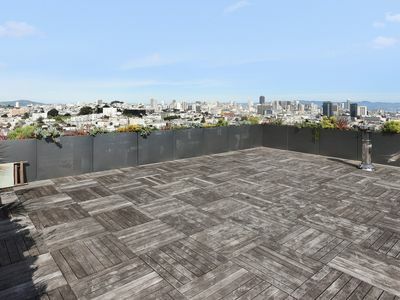 Petite Palace in Pacific Heights!